Hello avid sewers! 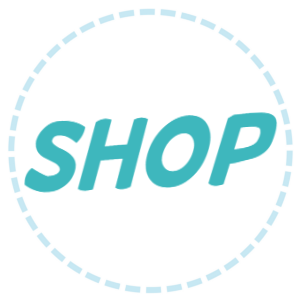 My name is Maggie and I am the editor for AllFreeSewing.com. 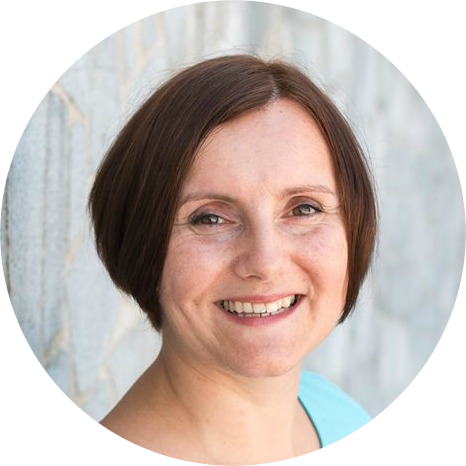 I asked Damjana if I could share some of our awesome sewing tips and tricks with you. 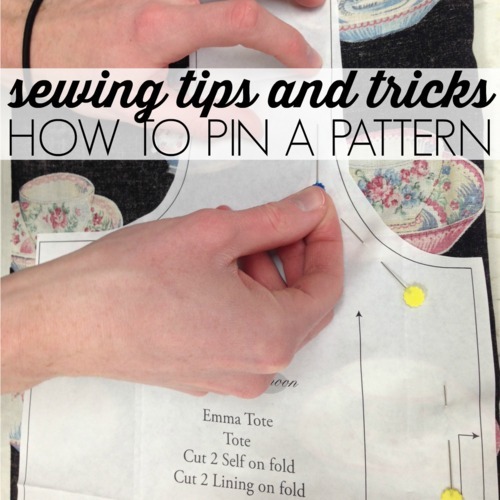 Today, I’m going to be specifically showing you some really helpful tricks for How to Pin a Pattern. These helpful tricks can be awesome for anybody who has just started learning how to sew, and there are even a few tips in here for the most avid sewers. Being so excited to start a new sewing pattern can be great until you feel like you are looking at a bunch of hieroglyphics when you see all the lines and marks in the pattern. These different tips and tricks can make every sewing project you complete from here on out as easy as pie to finish. Whether you like sewing clothes, home décor, or toys, learning how to properly pin your patterns is a great skill to have! Even if you are a sewing master, you could find some helpful tips or reminders in this guide. There are even step out images to help all you visual learners! 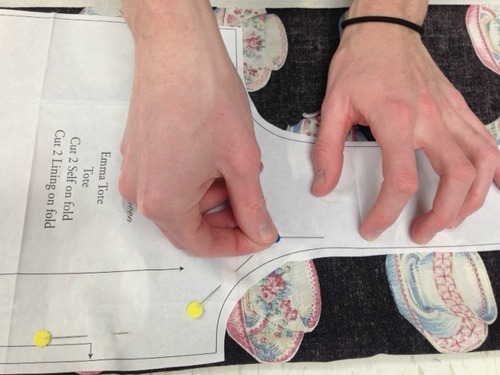 Before you pin a pattern to fabric, you need to make sure everything is ready to go. Prepare your fabric and iron your pattern to ensure that your measurements are as precise as possible. Get to know your fabric before you sew. You want to find where the grain is as well as decipher how your fabric will act when you sew it. Ask yourself does it stretch, and will it shrink? Cut out your pattern from your paper. Bonus Tip: make sure that you cut just outside of the line. It is much better to have pieces that are a little too big than too small. This will also allow for some error while cutting your fabric. 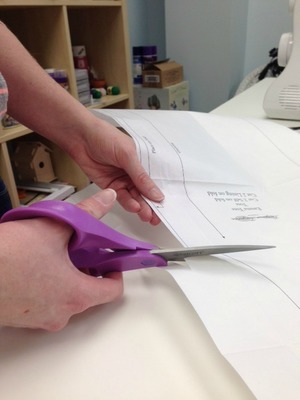 Learn more Quick Tips on How to Cut out Fabric Perfectly, to ensure that all of your cuts are as precise as possible. Bonus Tip: The way you pin your pattern to your fabric depends on what kind of fabric you are pinning. Learn the right type of fabric for your sewing project before you get started on pinning. If you are using a delicate fabric, you want to use as few pins as possible or maybe even decide to opt for pattern weights instead. Silk, for example, does not heal well from too many pin pricks. 1) Gather all of your materials and make sure your space is clean. You want to pin your fabric on a flat, clean surface. 2) Read the FULL directions to your pattern before doing anything else. You do not want to miss specific instructions. 3) Cut out your pattern. 4) Lay out your fabric. Most patterns have specific instructions as to how to lay out your fabric. You will often need to layer the fabric in two layers to cut two pattern pieces. Consult your pattern to determine where the sides of the fabric should face. 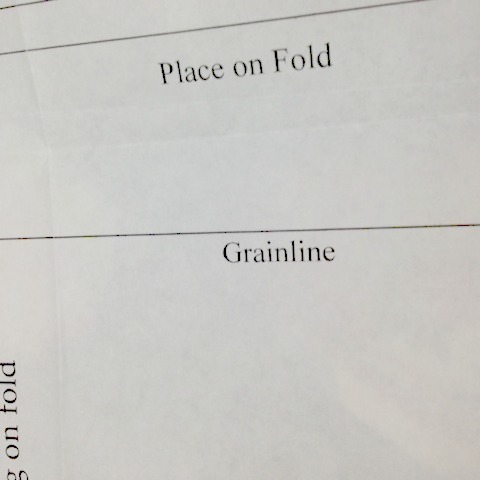 5) Your pattern will have an arrow to show you how to follow the grain of the fabric. The grain of the fabric is the direction the fabric has been weaved. You often want to sew along the strongest part of the fabric which is with the grain. 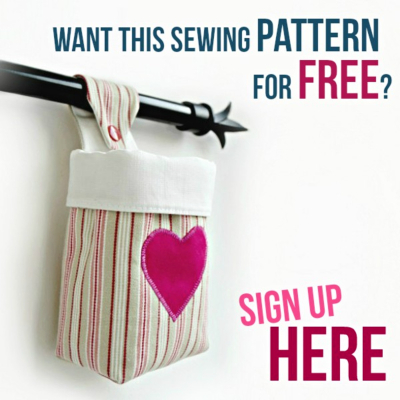 6) Now you can begin pinning your pattern! You will want to pin your fabric in a way in which makes it easier to cut. This means you do not want your pins sticking over the edge. You will want to place pins along the long edges, and you will not need a ton of pins in order to pin your pattern. All you need is enough to keep your fabric steady while you trace or cut out your pattern. Bonus Tip: Make sure to pin at all corners to ensure that you are able to cut these sections out as precisely as possible. Sewists pin in all kinds of ways. You need to find the way that works best for you. Many skip the pins all together and use binder clips or pattern weights to trace. If you do want to know how to pin a pattern with pins, you can either pin horizontally or vertically. These two methods look like this. You can really use either method that you feel most comfortable with. Both methods come with their own pros and cons. Pros for Vertical Pinning: Pinning vertically can require less pins and may end up with a more precise cut. Cons for Vertical Pinning: Pinning vertically means you cannot pin on the seam, so if you are using delicate fabric the damage the pins do could be more noticeable. 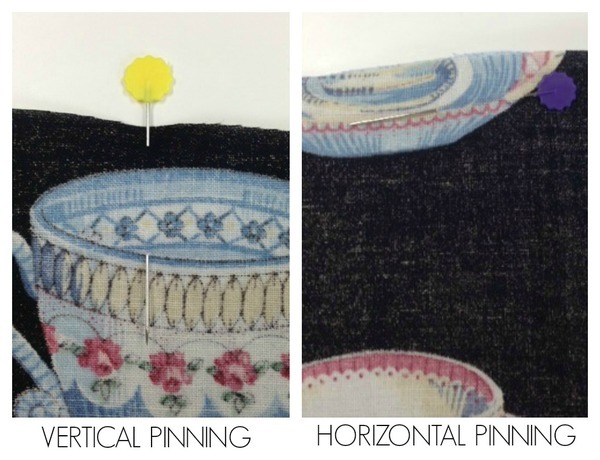 Pros for Horizontal Pinning: Horizontal pinning means that any damage the pins do will be closer to the seam of your project, so any damage it does will be practically invisible when your sewing project is complete. Cons for Horizontal Pinning: Horizontal pinning can make the fabric bunch more. In order to pin a pattern to sew, you follow the exact same instructions as when pinning the pattern onto the fabric to cut it out. Do exactly as your pattern tells you. Bonus tip: make sure to always double check that the right sides of the fabric are facing in the right direction in accordance to your pattern. For tons of ideas for different sewing patterns you can start or even practice on check out this awesome collection of 35+ Free Printable Sewing Patterns.